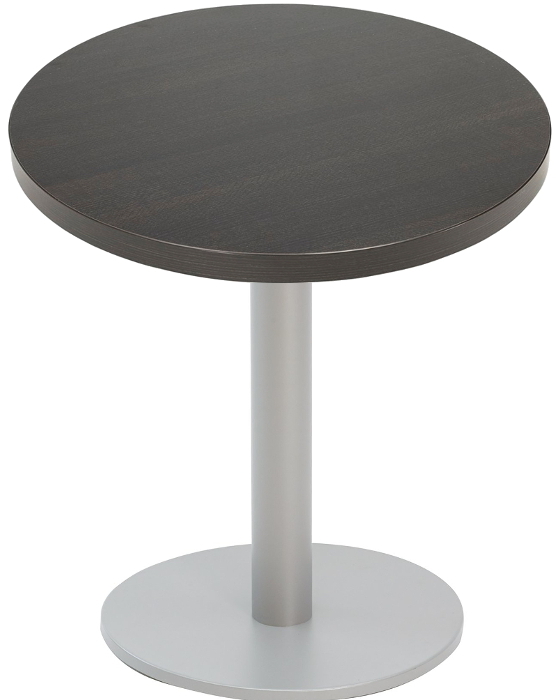 The round Marco Series restaurant table with silver base features a 2" thick high pressure laminate top, with flat edge. Round sizes available are 24, 30 & 36" diameter. Also available in 43" & 46" round with a larger base. With a silver base, the most popular colors are the zebra & wenge.